For those who are serious about following "our path" to frugal adventures, buying a used RV is often the first and most difficult step. Every journey starts with one first step. Many of you have written to tell me my website has given you the inspiration and confidence to travel like we do, on a shoestring; however, that first step of purchasing the right, affordable, suitable, reliable, used RV or other travel vehicle is the most difficult step to take. Once you’ve done that, you know that everything else will fall into place. 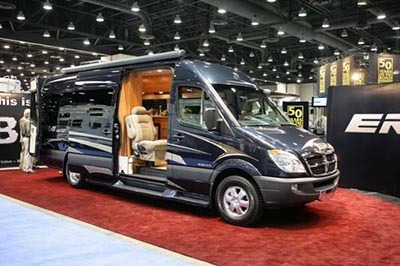 A new RV, no matter what the style, can be very expensive and will depreciate faster than most other vehicles would. In my opinion, buying new is not an option. Until you’ve spent some time on the road, finding out what your likes and dislikes are, buying a used RV is your best bet. – Because it is! Start your research well in advance of your planned departure date. Before buying a used RV, first you need to determine what type and size of RV will best suit you. Factors such as where you plan to travel and whether you will spend more time hooked-up or boondocking are important considerations at this stage. Rent or borrow an RV - at least for a weekend. In Canada RVezy.com connects you with affordable priviate rentals in your area. 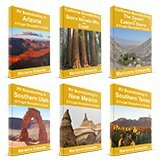 In USA, go to Outdoorsy.com You likely won’t find the model you have in mind but look for something as close as possible to the size you want. Try to envision every possible scenario while you have it. You’ll learn a lot from driving, parking, and living in it even for a night or two. If this isn't possible, at the very least, ask to tag along with an RVer for a few days, ask questions, and pay attention to every detail. Educate yourself – There are several excellent books and ebooks, written by industry experts. These will tell you what to look for, what to avoid, and how to inspect and test every aspect when buying a used RV. For example, Les Doll’s ebook, Guide To Buying A Used RV is an excellent resource. 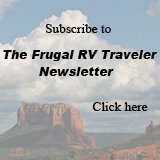 Visit the RV forums Once you’ve decided on a few models that interest you, visit the RV forums such as the one at rvtravel.com and ask for advice, reviews, and opinions from experienced RVers who are familiar with the RVs you’re interested in. This may change your mind about certain models or lead you to new ideas. Join the RV Consumer Group RV.Org. This non-profit web site provides independent ratings on all manner of RVs - motorhomes and towables. The membership fee ($139.00 first year, $28.50 for renewals) is well worth it if it lets you avoid the lemons. Browse the ads online. A good website to check is RV Trader. Go there to get an idea of current pricing. Consumer pricing guides such as NADA Guides for RVs will let you type in year and make and other details to get an idea of what the fair market value should be. This is the guide most often used to determine book value by dealers and banking institutions. Don’t take it as gospel, go on to look for the actual listings to see what’s available and what the prices are. Avoid the dealers – (Actually don’t avoid them entirely. Going to the used RV lots is part of step one – educating yourself, but don’t buy here unless you’re willing to pay too much.) Many people are comforted by a dealer’s 30-day or 60-day warranty but, remember, they are always going to add a sizeable mark-up, ask what the market will bear, and they are much more experienced at being “salesmen” than you are at being a “buyer.” With a private sale, the seller and buyer are on a more even footing. Listen to your gut instincts as you size up the seller as well as the RV. Look locally. Remember, not all sellers are “Internet savvy.” Look in your local papers. Check for new ads daily and call right away - the right-priced vehicle will sell fast. Usually, there’s more likelihood of finding a deal that someone else hasn’t beat you to in the local papers than online. For even less competition, look for signs posted on an RV parked on someone’s lawn or drive-way. Cruise through RV parks and mobile home communities and look for the “for sale” signs. Learn seller's profiles. Often older people are selling because they can no longer travel the way they once did. Other times, the RV was purchased for family vacations but they have realized they don’t use it enough to justify the investment. In both cases, the unit was a substantial investment and so it usually has been well cared for. Often this also means the RV has been used very little, has low miles, and it still has lots of life left in it. If, on the other hand, something about the seller doesn't seem right, be extra cautious. If you're suspicious, get the VIN number (copy it down yourself from the vehicle not the ownership documents - don't ask the seller to do it for you) and run a police check to be sure it's not stolen. Buying a used RV has been made a little safer in the last few years (in Ontario) with the Used Vehicle Information Package before you can transfer ownership. Don’t rule out buying a used RV from far away. Currently, it can be quite financially beneficial and it’s not that difficult for Canadians to import an RV from the USA. We recently researched this for our own benefit and here's everything I found out as well as a few things to consider when making a long-distance offer on an RV, sight-unseen . Have a list of questions made up in advance. Here's a sample list. Phone the seller and go through your list, recording the answers you get. Make sure you speak with the person who is selling the RV or who knows the vehicle best. If it all sounds good don’t snooze now! Arrange to inspect the RV immediately or as soon as possible or you might miss out. But before you go, be sure the RV is ready for your inspection checklist. Create your own checklist from all you've learned. The sample checklist at happyvagabonds.com provides a good place to start. Ask the seller to ensure every aspect of the RV is ready for your inspection: fridge is turned on at least 3 hours prior your arrival, there’s propane and water in the tanks, the “house battery” is charged, and that you’ll be able to test drive it and check every aspect. If you're nervous, especially if this is a big expense for you, consider hiring a certified RV inspector and making your offer hinge on clearance by the inspection. You may need to leave a reasonable (10% perhaps) non-refundable deposit to show you're serious about your offer since the seller will need to agree to hold the RV for you until you can arrange the inspection. Put it all in writing. If the seller refuses an inspection, you'll have to wonder why. Buying a used RV is usually a bartering process. It’s okay to start lower than you expect and are willing to pay but, don’t insult the seller or he may not sell to you if you were the last buyer on earth. (I’ve seen this happen.) If he’s willing, you can negotiate from there. If he turns you down and won’t budge on his price, be prepared to politely walk away (there are always other RVs to see) but ask him to call you if he changes his mind. You can call him back yourself in a few weeks to see if the RV has sold yet. Buying a used RV requires less money but more patience than buying new. The right deal will come along if you are patient and do your homework. If you haven’t spent enough time looking and comparing you won’t recognize it when it does. 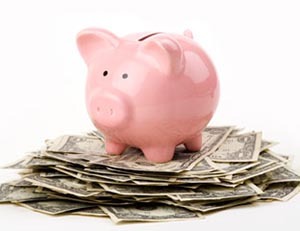 Estimate how much money you would have spent if you had bought a new RV instead. Put the difference (mentally) into a bank account. Every time your used RV needs a repair, “make a withdrawal” from that account to pay for it. I guarantee you’ll have money left over when, after a few years, you decide its time to upgrade and find yourself again buying a used RV.